Instead of achieving target of 6-7 millions sales of such hybrid vehicles by 2020, only 0.263 million electric vehicles have been adopted in India, the PIL said. 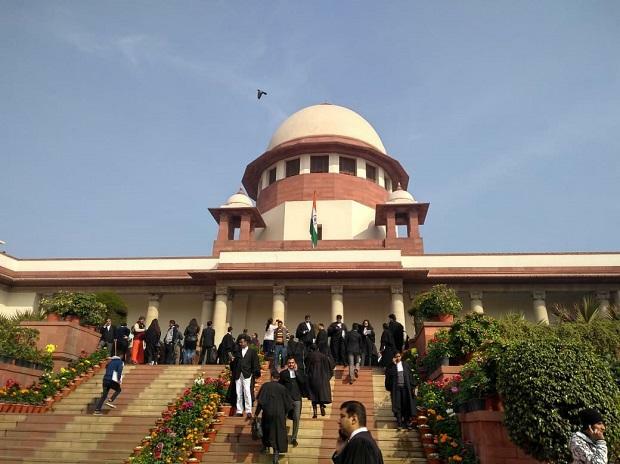 A plea has been filed in the Supreme Court Tuesday seeking direction to the Centre for faster adoption of electric vehicles (EVs) to safeguard citizens' fundamental rights to "breathe, health, and clean environment". The top court has sought the Centre's response to the PIL, which referred to the comprehensive National Electric Mobility Mission Plan, 2020 (NEMMP-2020) of the Ministry of Heavy Industries that was devised in 2015 to promote and incentivise electric vehicles. A bench comprising Chief Justice Ranjan Gogoi and Justice Sanjiv Khanna was initially reluctant to consider the plea saying that it pertained to the government's policy decision. The court, which did issue notice on the plea, however took note of the submissions of lawyer Prashant Bhushan, appearing for NGOs Centre for Public Interest Litigation (CPIL), Common Cause and Sita Ram Jindal Foundation, and asked the Centre to file its response within four weeks. "The petitioners are seeking...direction, to the Union of India to promote the gradual adoption of electric vehicles in order to mitigate the severe crisis of air pollution that is violating the citizens fundamental rights to breathe, health, and clean environment," the plea said. Government's failure to enact a suitable regime of incentives and disincentives to promote the adoption of "zero emission" vehicles was "arbitrary and severely risks the health of citizens and environment of the country", it said. Referring to constitutional schemes, it said that they cast "a duty on the state to secure the health of the people, improve public health, and protect and improve the environment". The lack of effort on the part of enforcement agencies and adequate laws have resulted into spiralling pollution levels and the air quality is steadily decreasing and no effective steps have been taken by the administration in this behalf, it alleged. The plea said the thrust of the policy was to allow hybrid and electric vehicles to become the first choice for the purchasers so that these vehicles could replace the conventional vehicles and thus reduce liquid fuel consumption. The Faster Adoption and Manufacturing of (Hybrid and) Electric Vehicles in India scheme (FAME India), meant for implementing the policy, has woefully failed in "adopting the recommendations of NEMMP-2020." "The direct result of which is that the entire object of NEMMP-2020 stands defeated as is evident from the latest data made available by FAME India itself. Whereas NEMMP-2020 had envisioned that by 2020 India would adopt close to 7 million electric vehicles... as of January, 2019, only 0.263 million electric vehicles have been adopted in India pursuant to FAME India scheme," it said. The electric vehicles (EVs) are the preferred technology to alleviate the effects of pollution and intervention of judiciary was necessary to protect citizens fundamental rights. The plea has sought direction to the Centre to adopt and implement the recommendations made under NEMMP-2020 and those of Niti Aayog in its Zero Emission Vehicles policy framework pertaining to "demand Creation, creation of requisite charging Infrastructure". It also referred to the names of countries like Norway, Netherland, Sweden, China, USA and United Kingdom and said that have been successful in adoption of EVs. These countries incentivise adoption and promotion of EVs. In Norway, no purchase or import and road taxes are levied on EVs, it said, adding that in the USA, "tax credits are provided on infrastructure investment like charging infrastructure. Along with this, consumer tax credit and purchase incentives also exist". In the United Kingdom, such EVs are exempted from "vehicle excise duty. Employees and employers exempted from company car tax".